With advanced operating systems and hardware quickly bridging the gap between car and smartphone, in-car infotainment solutions —not to mention user data monetization —is poised to be a huge money maker for auto manufacturers and tech firms alike. Despite untold amounts of capital infusions into projects like CarPlay and Android Auto, however, consumers are not yet persuaded that connected technology enriches the driving experience, according to the J.D. Power 2015 Driver Interactive Vehicle Experience Report, as conveyed by Fortune. The study, which was conducted between April and June 2015, asked more than 4,200 new car owners and lessees about their experience with 33 technology features during the first 90 days of ownership. As might be expected when integrating new technology into an ever-evolving systems platform, at least 20 percent of respondents didn't use 16 of the measured features. Specifically, the number of drivers who "never use" in-vehicle concierge stood at 43 percent, mobile routers at 38 percent, automatic parking systems at 35 percent, head-up display at 33 percent and built-in apps at 32 percent. More pointedly, a respective 37 percent and 38 percent of respondents said they did not want CarPlay and Android Auto in their car, landing the two infotainment systems on an inauspicious list of most unwanted vehicle technologies. Leading the pack of unwelcome tech was rear-seat entertainment with 58 percent of those polled saying they didn't want it, while massaging seats came in second followed by in-vehicle concierge and automatic parking. Interestingly, consumers are obliged to have some sort of smartphone compatibility in their next vehicle, as 84 percent said they wanted a "phone pairing system." Such technology, which already comes standard on many basic in-car entertainment systems, made it on the top-five list of most-wanted tech behind blind spot warning and detection, fuel economy indicator and seat lumbar adjustment. 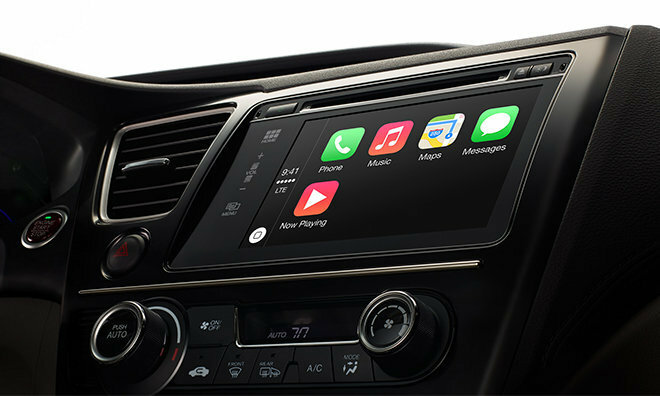 First announced in March 2014 as an evolution of "iOS in the Car," Apple's CarPlay has seen wide industry interest culminating in pledged support from all major manufacturers. Most recently Honda and Volkswagen announced upcoming compatibility in select 2016 models.